Our day didn’t start so well today. The power went out overnight in the place we were staying which meant I didn’t get a cup of tea at breakfast. NO TEA! The horror! What’s the point of getting out of bed if there’s no tea? Consequently we left fairly early and went to Pennan. I was looking forward to visiting this tiny fishing village after watching the film, Local Hero. 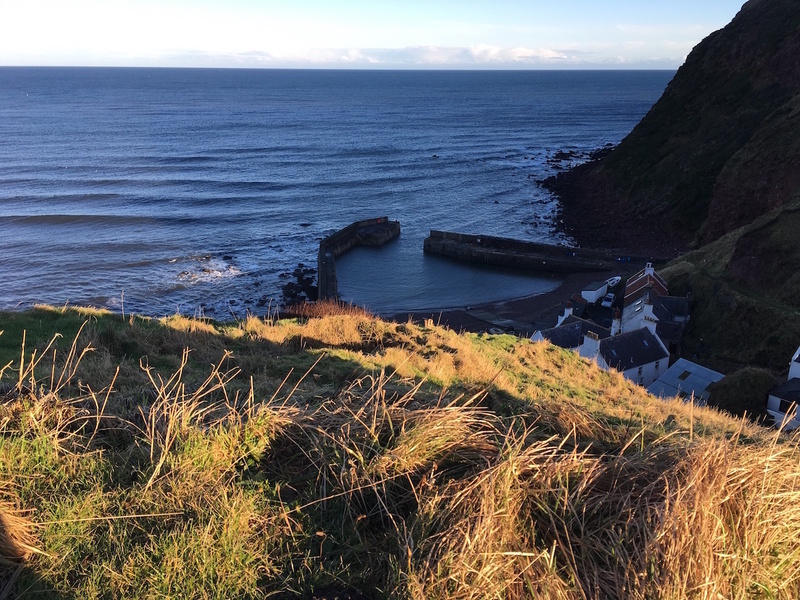 Something which is not clear in the movie is that Pennan is at the bottom of a gorge between two very steep cliffs. The road down to the village is very steep and narrow and not something I’d want to drive down in the snow or frost. Despite having a northerly aspect the cliffs cast a shadow over the village. We were there at 10am and although it was a brilliantly sunny day, the entire village was in the shade. I imagine they must get some winter sun but the cliffs are so high and so close that it’s probably only very little over winter. The cliffs make an impressive backdrop to the white-washed brick homes along the shore, though. It was cute. The local pub/hotel is for sale for £350,000. 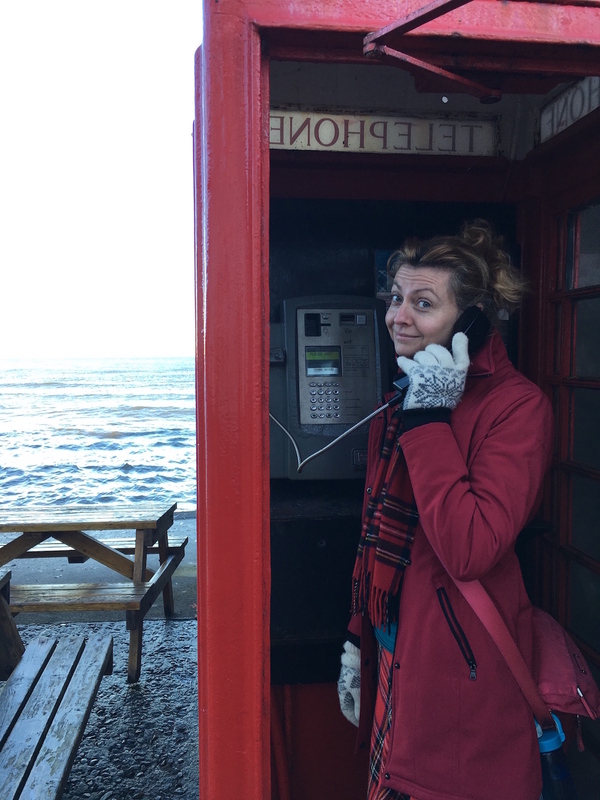 I got the obligatory photo at the phone booth. Sadly I did not see an aurora borealis. Afterwards we went to the Saplinbrae Hotel in Mintlaw where I had several cups of tea followed by lunch and then several more cups of tea. 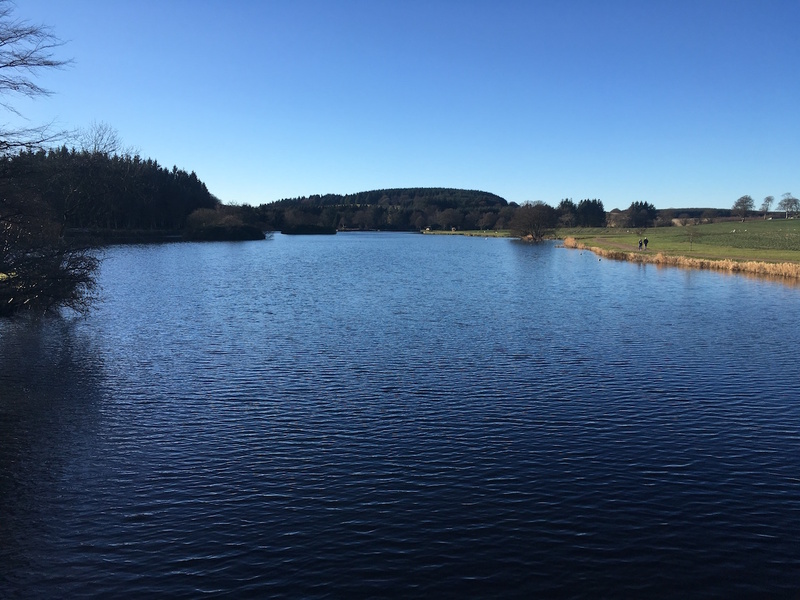 Then we walked around Pitfour Lake which was very nice. 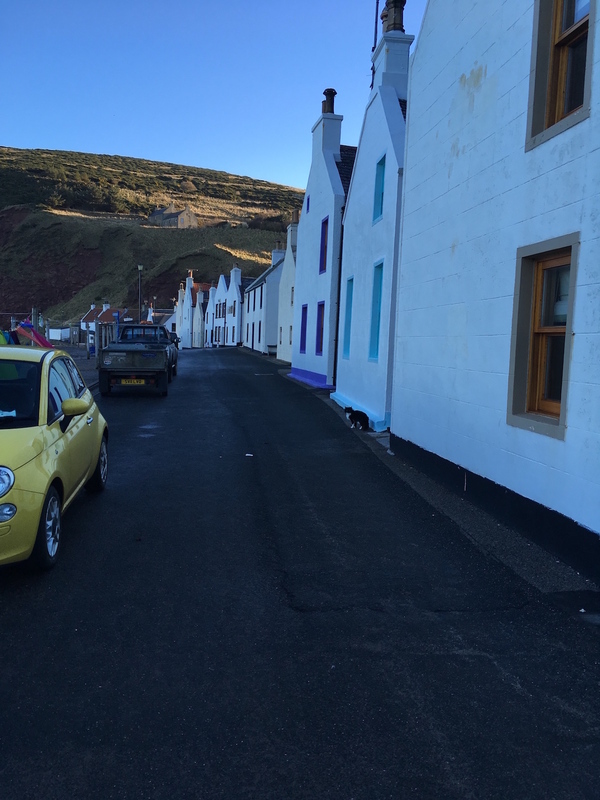 Posted in Journal, Travel and tagged fishing village, Local Hero, movie, Pennan. Bookmark the permalink. 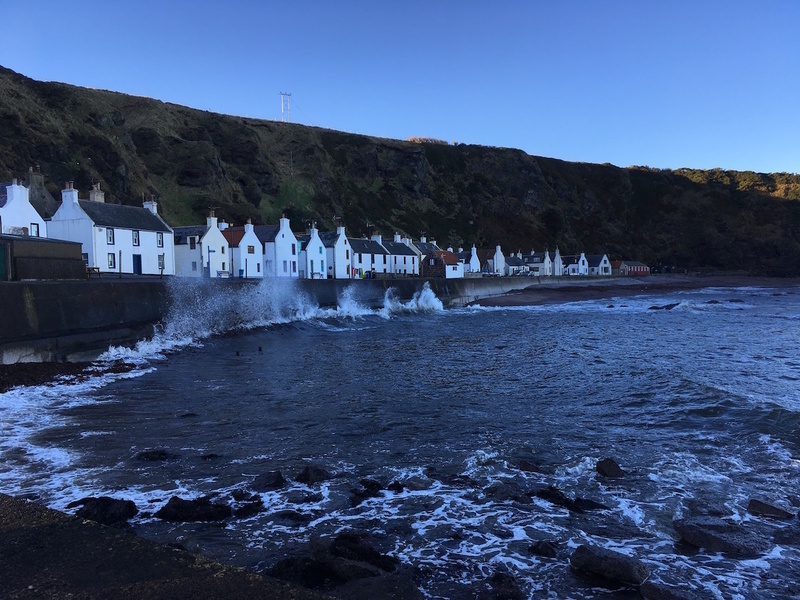 The other thing to bear in mind is that in the film one end of the village is at Pennan, the other at Arisaig on the West coast. I think that you might have picked the wrong one this time? 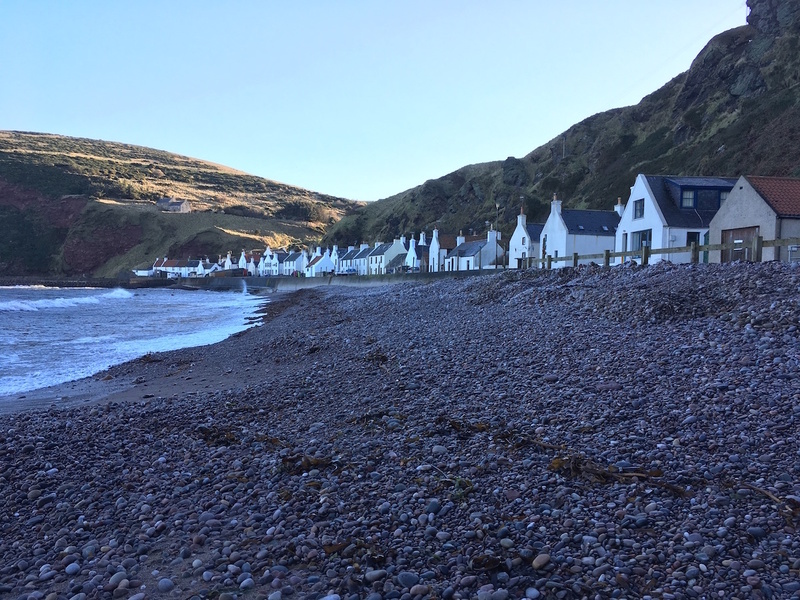 The village of Ferness in the movie is Pennan but the beach where Ben lives in his shack is on the west coast – is that what you mean? Maybe we’ll go there next time but it’s too far for a weekend. That’s interesting. 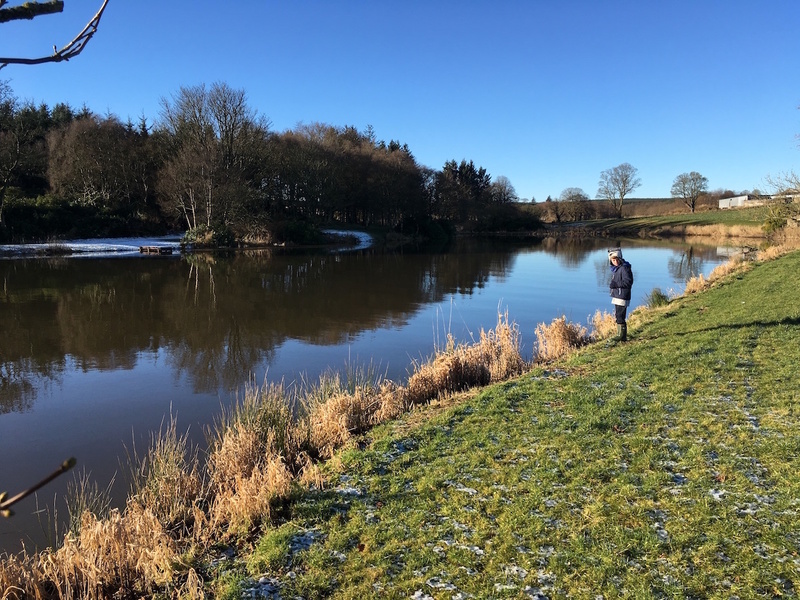 There are no insects here at all but it’s winter. I believe Scotland has midges in summer but mostly on the west coast. I haven’t noticed them here on the east. It never gets very hot here in summer.